Infrared Inspection Windows - Vancouver Industrial Electric Ltd. In order to maintain safe and simple work boundaries around electrical equipment, we can install infrared inspection windows. This allows the ability to scan the equipment safely, limiting personnel to exposed electrical equipment and arc flash considerations. 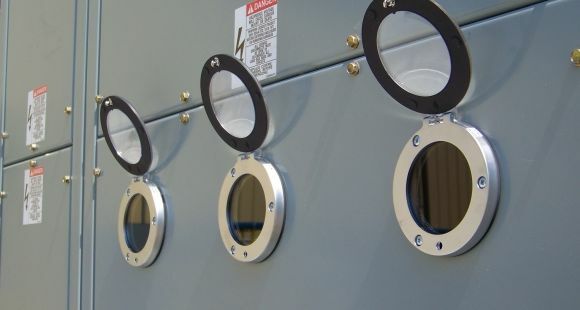 Many manufactures are installing infrared inspection windows as standard equipment to make their equipment safe for infrared inspection and complying with the NFP70E requirements. We can install infrared windows at your facility.